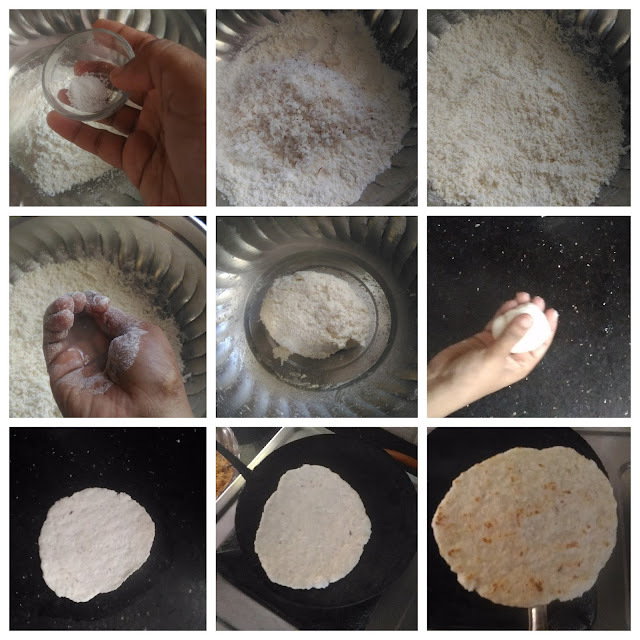 Just like we prepare Ragi or Jowar roti, Sri Lankan’s prepare a roti using maida and coconut mix. I tried this and found that this is very tasty. Pol sambol (Recipe HERE) is the best combination for this. 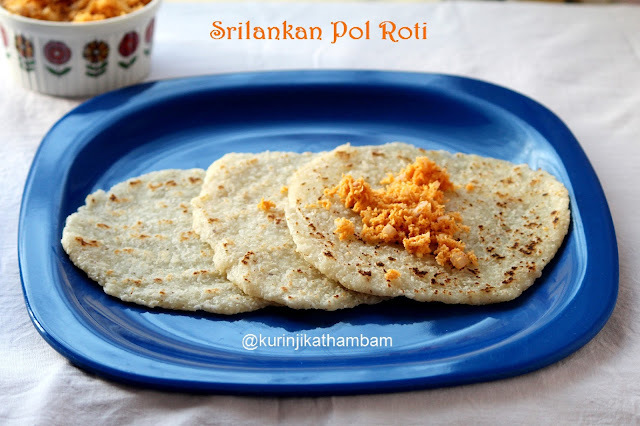 You can definitely impress your guests with Sri Lankan Pol Roti. 1. 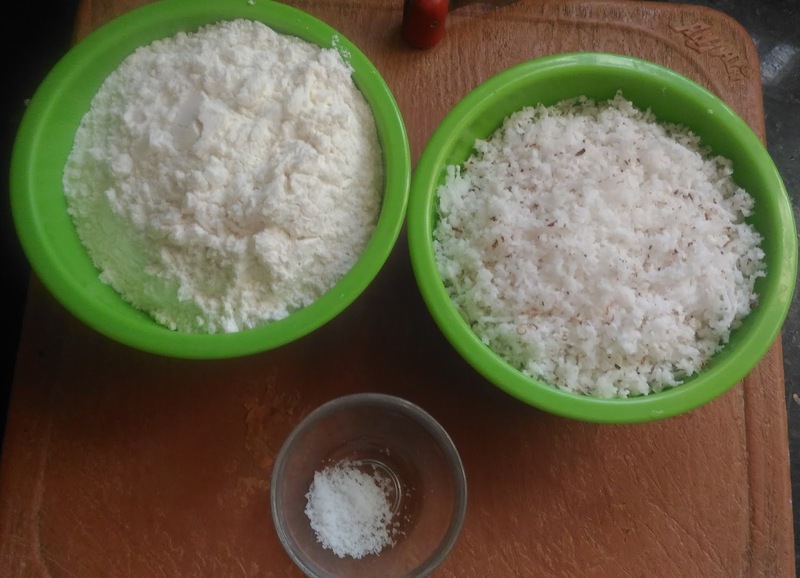 In a wide bowl, add maida, grated coconut and salt. Mix them well. 3. Divide the dough into 4 equal balls. 4. Grease the rolling surface with little bit oil. 5. Apply oil for your hand also. 6. Now take one ball and flatten it using your fingers. 7. 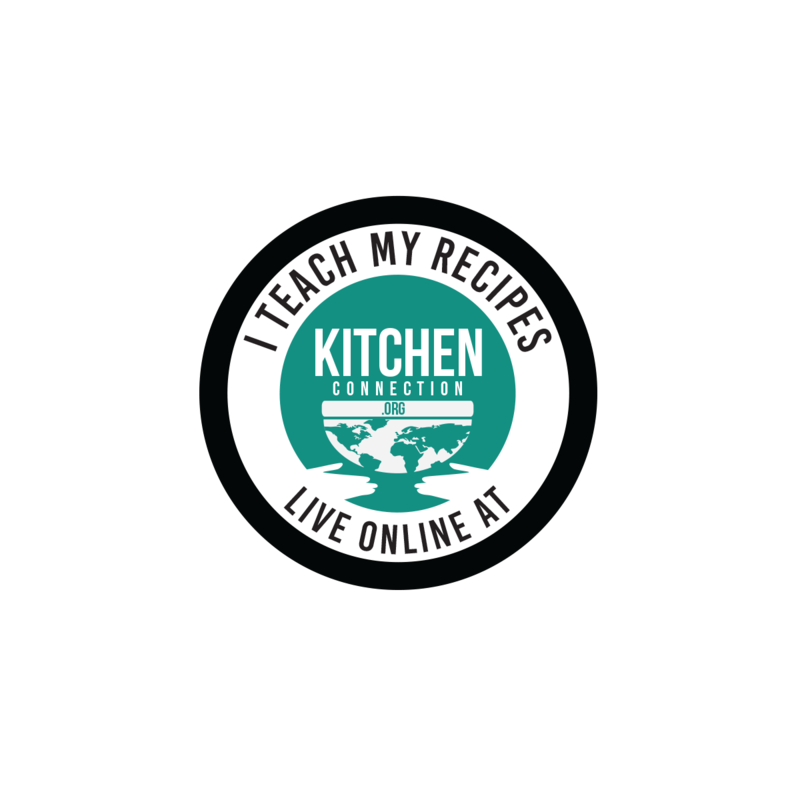 Heat the tawa and pour ½ tsp of oil around the tawa. 8. Place the roti and apply ½ tsp of oil over the roti. 9. Turn over the roti and cook till black spots appear on the both sides of the roti. Keep the flame at medium only. Yummy and delicious Sri Lankan’s Pol (Coconut) Roti is ready. Serve with Pol Sambol.